Today in Africa, the number of youths is growing rapidly. In 2015, 226 million youth aged 15-24 lived in Africa, accounting for 19 per cent of the global youth population. By 2030, it is projected that the number of youths in Africa will have increased by 42 per cent. Africa’s youth population is expected to continue to grow throughout the remainder of the 21st century, more than doubling from current levels by 2055. (Data source: United Nations (2013) World Population Prospects: The 2012 Revision). 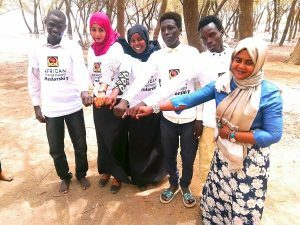 From this statement, we realized that a sustainable future depends on having resilient populations, which cannot be achieved without investments in young people; with proper investment in their opportunities, these young people’s innovations could transform the future. 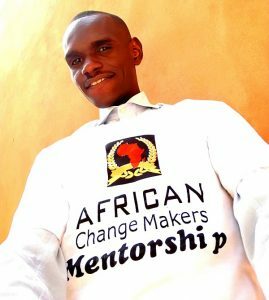 African Changemakers supports not only youth leadership but also participation initiatives Mentorship to help ensure young people have a voice in decisions affecting them. Under the shadow of Sunut forest bird protected area, which lies in the White Nile in the Khartoum State., Sudan the historical hot spot area of birds and invertebrate diversity with a diverse invertebrate community, on Saturday 23th of June, 32 environmentalists from several institutes met each other. All together we learnt about the role of protected areas in conserving biodiversity and sustainable local livelihoods, importance and how to protect the environment and some of rare migratory bird’s species considered as excellent bioindicators for the health of the environment, the participants touched and listened to the nature near the river bank, sound of birds singing around us, we have saw monkeys hidden behind trees and enjoyed green environments. We held our hands tight and left no threat to break the circles of coexistence of man and nature. The coexistence from which we inherited the monuments and the biodiversity that we are called to preserve for the future generations. Mutasim volunteer with Sudanese Wildlife Society (SWS) The SWS is an active civil society among the working NGOs in Sudan, that works in collaboration with national and international organizations to conserve wildlife; since when he was student and then director of SWS office currently doing his duties as executive member. He believe that challenges facing our environments are increasing by the day furthermore, biodiversity conservation is not fieldwork only, but about building on our knowledge and experiences and leadership, so African Changemakers opportunities are one of the best ways he can think of for doing that moreover volunteering experience shaped me and helped me see how I’m contributing and making impact, I learned how to create opportunity and give back to my community and environment. Currently, Mutasim is working as Environmental Inspector on establishing a program on raise environment conservation education at High council for Environment & Rural Development in Sudan. As he regularly volunteered with different organizations His goal is to help youth understand the importance of environmental conservation and looking for ways to enhance capacity building of young researchers, confidence leadership and environmental ethics. The ACFellowship Program, exposed me to the importance of working with young people and ensuring they form a positive association with the environment and these young changers will be tomorrow’s leaders in environment, business and government, so it is critical for all of us to help youth, understand the importance of preserving their environments. 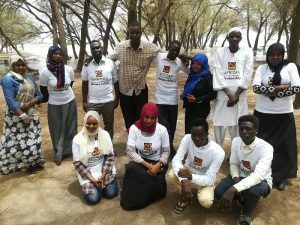 I credit the ACFellowship program providing me a platform to share my experiences, raise the profile of my work, and collaborate with a network of young African change makers who are eager to help secure a greener, more sustainable future for Sudan and the continent. The opportunity to participate in was not just an event, but an important lesson in leadership; learn more about conserving environment Badr says. “I understand that as an environmentalist, I carry the torch for my community future to influence protect of environment in my country.” All participate committed to become changemakers to help and fight for good environment, they are grateful to African Changemakers in all around the world and global citizens that generously support our future.